A sleek and stylish way to send your best wishes to customers, clients, friends and family. 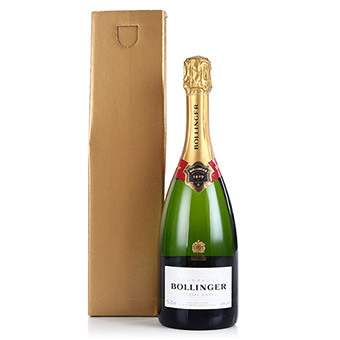 Presented in a bottle gift box this is a timeless bottle of Champagne which will be delightfully received. Disclaimer Please note that for delivery on Saturday or Sunday there is an additional fee. Delivery on Saturday - £10.45. Delivery on Sunday - £21.50.